Years ago, when Nixon ordered the invasion of Cambodia, on May 1, 1970, four unarmed students demonstrating against the war were essentially murdered by the Ohio National Guard. David Crosby, Graham Nash, Steven Stills and Canadian Neil Young were driven to record the song “Ohio,” in a rushed recording session. The song went viral before “viral” was even a concept. The Internet did not exist. In less than 24 hours “Ohio” was being played on FM radio stations all across the United States. That CSNY song, IMHO played a crucial role in Nixon’s demise, and accelerated the end of the Vietnam War. I see Yogi Berra’s “deja vu happening all over again” with Neil Young and the tar sands. 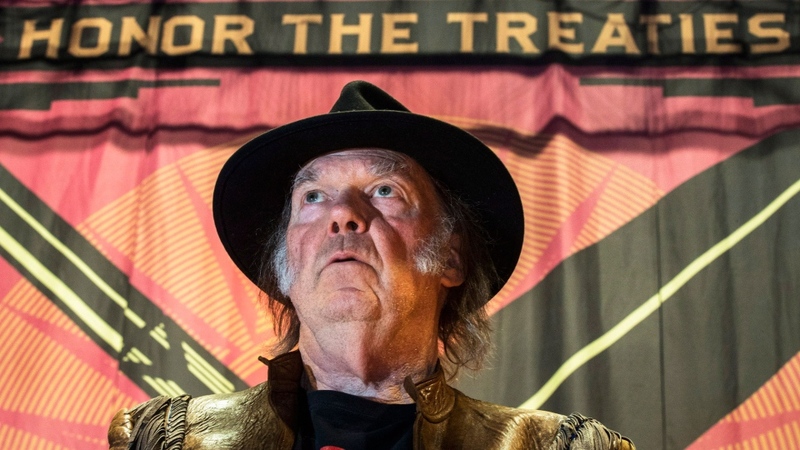 Neil Young has essentially done it again, with his extraordinary stand this week against the Alberta tar sands, and in support of the First Nations Court action against Shell Oil’s plan to expand the destruction to the boreal forest. He has attracted criticism like Manitoba mosquitos in August. I doubt Neil cares much. Like in the previous Vietnam War instance, Young is being criticized in the establishment Canadian press. But as with the Vietnam War, I believe the turning point may have been reached with the Alberta tar sands. Two separate polls in Alberta, one by the Edmonton Journal, and the other by the Huffington Post, have come out overwhelming in support of Neil Young’s opposition to the tar sands. What? How could that be in Alberta? These people depend on tar sands jobs? An amazing 63% of Albertans polled by both journals approved Neil Young’s actions this week. This may explain the virulent attacks on him in the press, a la the Vietnam War. Corporations and Harper hate losing. Neil Young is normally a very low key person. I have been fortunate to have met him once, and to have lived in a community he frequented on the coast just south of San Francisco. He has lived there for nearly 40 years with his family. Since the recording of “Ohio” I cannot recall a time when he has stood up publicly on an issue, and risked his reputation. Despite all the attacks on him this week, I think Young has gotten it dead right, and time will prove him right.